For the second iteration of the State Farm Neighborhood Sessions we traveled to Moore/Norman, Oklahoma: the home of Toby Keith and the heart of America's Tornado Alley. On the ground we were tasked with celebrating the community and the neighbors that helped to inspire Toby throughout his life and career. 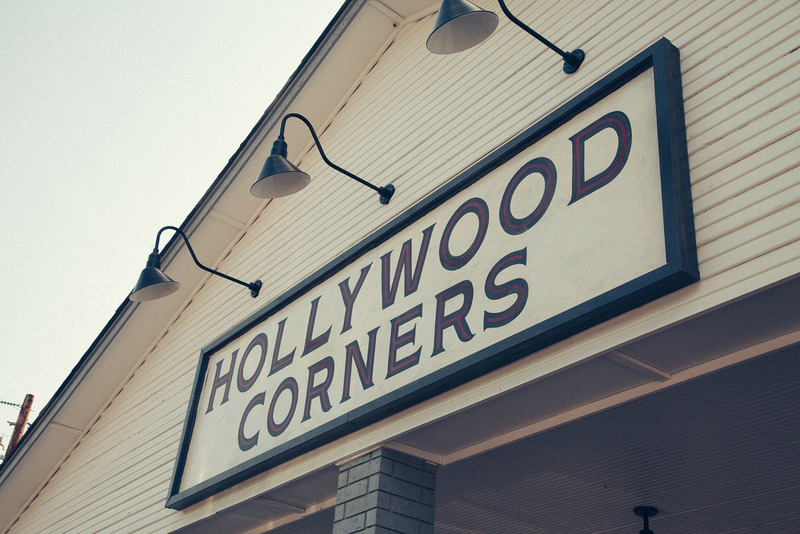 That landed us at Hollywood Corners: a corner deli and central hub for the community and Toby's youth and the newly revitalized hub for the people in the surrounding area. Taking over every detail of Hollywood Corners through the lens of authenticity and Oklahoma spirit, we wove the State Farm thread through visual and tactile storytelling. Through this we encompassed the community, highlighted its members in on-the-street interviews represented as exhibits and created props and beverages all branded to showcase "good neighbors inspiring greatness." A special invitation was sent out to 500 people in the Moore/Norman community, which led them back to Hollywood Corners for a unique and intimate performance where put on the hat and did what he does best: performed. This was an integral part of a larger piece of storytelling and music special that aired on TBS: the State Farm Neighborhood Sessions: Toby Keith. Our palette for this storytelling experience was rooted in the idea of rebuilding through materials in reclaimed wood and pallets as well as lighting inspiration from county fairs and local community events. For some of the finer details we pulled inspiration directly from the venue's storied past, recreating elements from the 1920s version of Hollywood Corners as a showcase of this locations role throughout time and into the future. Lastly, took an opportunity to give the community a more permanent space for performances and gathering, developing and installing a massive stage, rooted in the backyard and finished with a wooden/steel "home" framework.